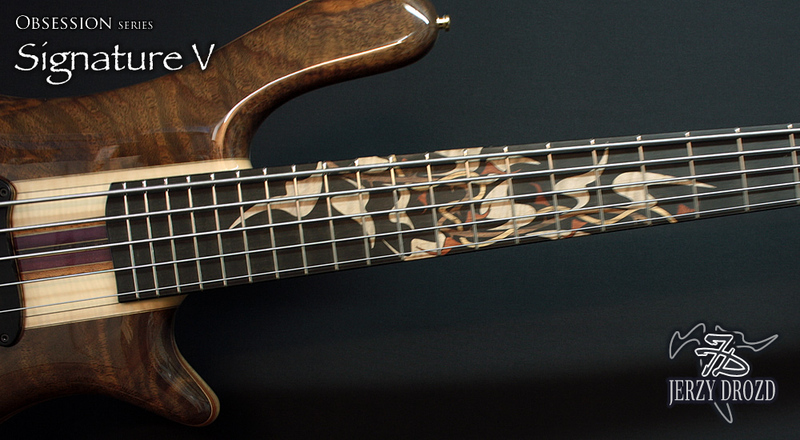 Our top of the line SIGNATURE™ bass probably is the best expression of what we understand as "Bass Art". 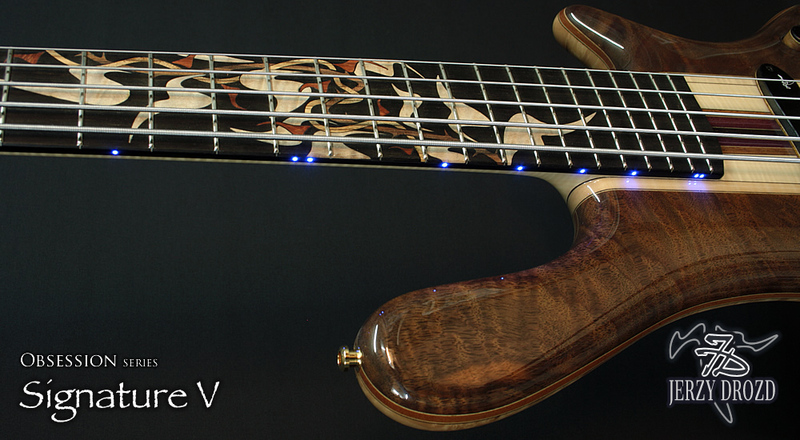 Although you will find the same electronics and pickups on our other creations, this bass was taken to extreme levels. 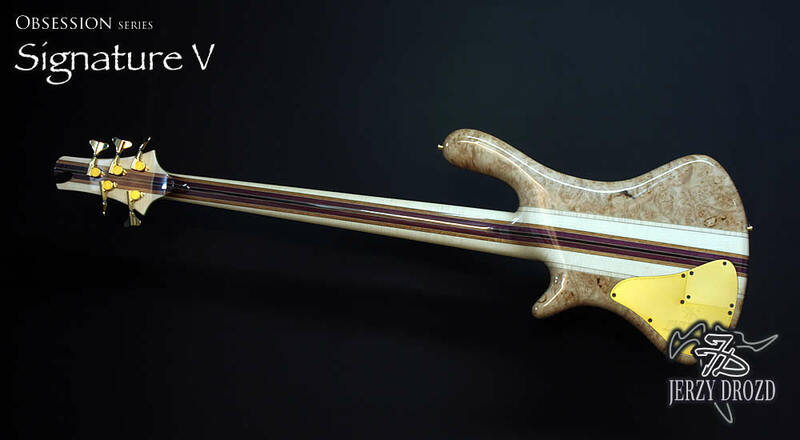 The thirteen-piece laminated neck includes flamed maple, purpleheart, bubinga, and wenge. 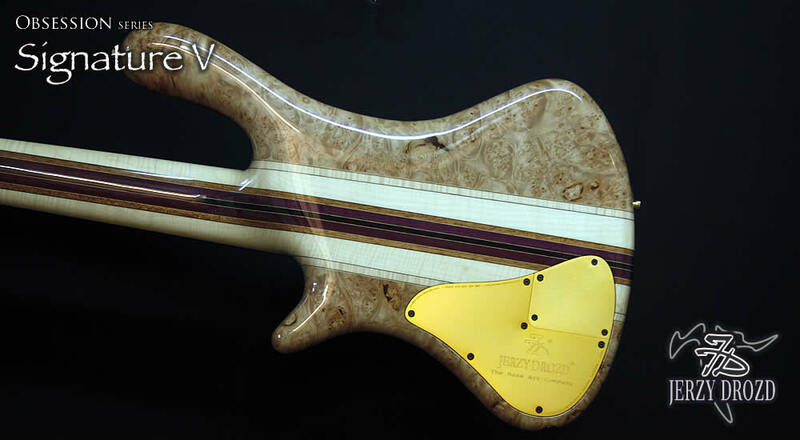 It also has top quality woods used on the body, with spalted maple wood on top and burl, crotch, or flamed walnut on the bottom and different thin veneers between these woods. 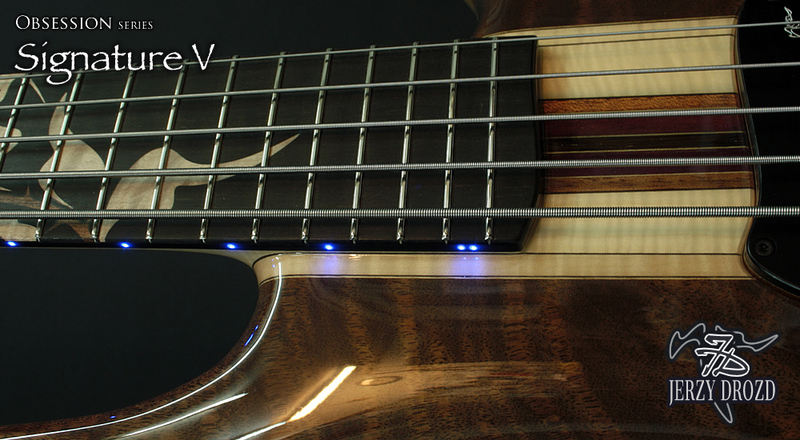 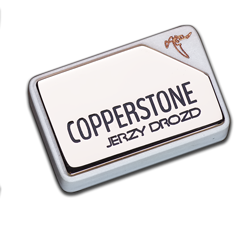 Our proprietary JeDXD thin humbucker pickups, along with an Aguilar OBP-3 3-band active preamp with a 400Hz/800Hz frequency mid selector, are the perfect companions to this incredible wood amalgam in order to transmit all the fidelity and richness of the Signature™ bass. 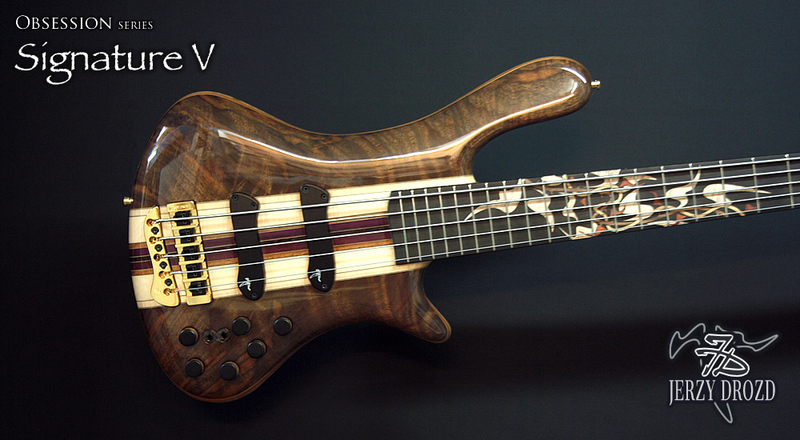 Is 28 fret version available? 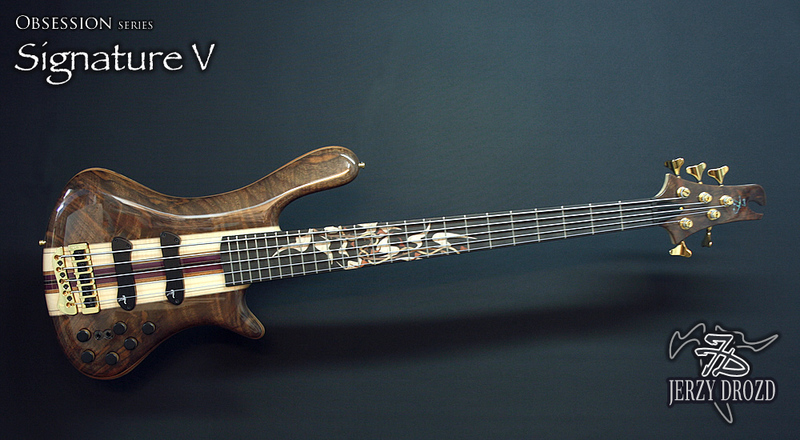 Is 36 fret version available? 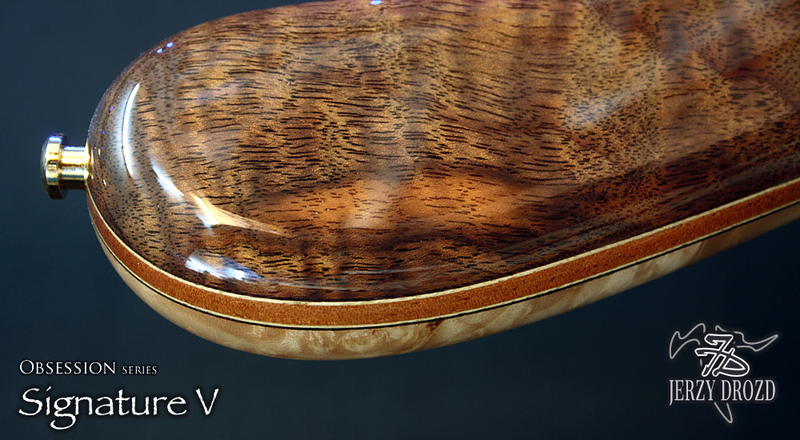 Prices may vary depending on version, chosen finish and hardware.